Can't find a book (print or audio) in our catalog? If your library account is in good standing, fill out the request form for the item you wish to see and bring it to one of our branches. The item will be shipped directly to you, and then you can return it to the branch you ordered it from after you've finished reading it so we can add it to our catalog for other patrons to borrow. Please read the rules for the program before ordering your Zip Book - as we restart the program in Oct 2018, changes have been made to better fit the grant requirements. [As of April 2019, the rules have been revised slightly again.] Items that can't be ordered through the program can be requested using the yellow request slips available at the front desk, though no request is guaranteed. Access Digital Magazines through our library anytime, anywhere; availability on PC’s, Mac’s, and mobile devices. Download e-books and audiobooks onto your laptop or portable device. Featuring a large collection of award-winning films and documentaries, Kanopy is an on-demand streaming video platform you can now access through the library. Just create an account (you will need an email) and add your library card, and you will be able to watch up to three films a month for free. Free access to the New York Times, from 1851 to right now. The link above provides access while you are at any of the library branches and stations. If you are somewhere else, you can still access the site with your library card! Just go to plumaslibrary.org, log in, and a link will appear on the left hand side. If you need help accessing it from home, please see this instruction sheet or ask the front desk. Offers topically-focused digital collections of historical documents that support the research and study needs of scholars and students at the college and university level. Collections cover a broad range of topics from the Middle Ages to twentieth-century political history. A comprehensive interactive resource for research and learning for grades K-12. Includes correlations to CA Content Standards and other valuable teacher resources. Click on the link and it offers you versions aimed at Elementary School kids (also available in Spanish), Middle School kids (also available in Spanish), and High School kids. 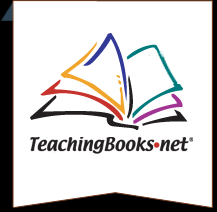 A website dedicated to enriching every student's reading experience, and offers books guides, meet-the-author movies, vocabulary lists, help to build your own booklists, and so much more. Offers individual training in essential skills, from using Microsoft Office to emails to basic math. There are over 180 topics with more than 2000 lessons, all completely free. The Public Library Association's new site, DigitalLearn.org, is an Institute of Museum and Library Services grant-funded project to create an online hub for digital literacy support and training. Included in DigitalLearn.org is a collection of self-directed tutorials for end-users to increase their digital literacy, including "Getting Started On The Computer", "Navigating a Website", "Intro to E-Mail", "Intro to Facebook", "Intro to Skype", and much more!